Tecno Pouviour 2 (LA7) another affordable budget-oriented smartphone with powerful features has just been added to the Pouviour flagship. Following the trend in the smartphone industry, Pouviour 2 has a sleek and elegant design with lots of powerful features that make the device a nice phone to own. Fortunately, the device comes in three variants at a different price range. The feature available in each varies but not great, so if you can't afford the Pro version, and like the Pouviour 2, you may wish to get a different variate that is less priced. 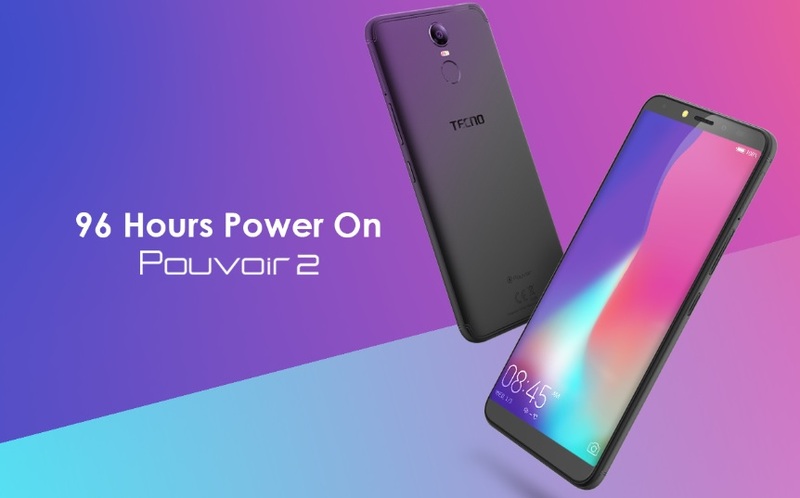 Tecno Pouviour 2 looks elegant with an impressive screen and sleek design, Tecno Pouviour 2 has refused to be left out of the trending sleek design. Basically, it has a stunning design with curved four edges, though the device is not that premium look. The device is made with a solid ergonomics and durable polycarbonate material. At the back is a single 13MP camera at the rear with the fingerprint just below it. While at the front is a soft selfie flash and camera with on-screen buttons. For the screen, the Tecno Pouvoir 2 offers just about an HD+ resolution and also a fairly large display. The smartphone is available in different colours, Aqua Blue, Midnight Black, and Champagne Gold. Sized at 6.0-inch, the display has 1440 X 720 pixels resolution with 2.5D curved glass. The performance is greatly expected to differ, the three variants have a 1.3 GHz Quad-Core that is expected to enhance the performance of the device. But, here is where the whole difference comes. The Pro version has a 3GB Ram that supports the 1.3GHz processor. We do not expect anything from this version other than a super fast performance. The Pouviour 2 itself has a 2GB Ram, this version will also provide a fast and good experience without nagging or hanging. 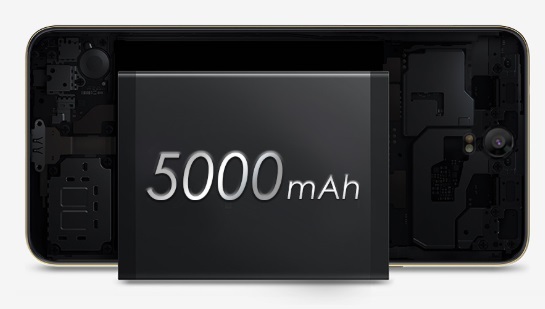 But the Air version has a 1GB, the performance expected here is not different from other low-end smartphones. The three variants have a 16GB internal Storage that allows you to store your files and photos. No doubt that the storage space is small but it can still be expandable using MicroSD card up to 32GB for the Air version and 32GB and above for the other two versions. For the Camera, there is a little difference. The Pro has a 13MP front and back, while the other two version has an 8MP front and 13MP back. No doubt, you will still get a good photo and your memories will not be lost. If the camera is your choice then, you should go for the Pro version. I understand that battery is a big decision issue for most persons, I consider this a big factor before making a purchase of any device. Fortunately, this device is powered with a 5000mAh battery capacity to enable you to enjoy the device all day without worrying about the battery. The large battery capacity guarantees at least two days use. I highly recommend devices with 4000mAh battery and above. Other cool features include the 4G LTE. The Air version is an exception to this feature, it does not come with 4G, but the Pro and the Pouviour 2 both support the 4G for superfast internet browsing. 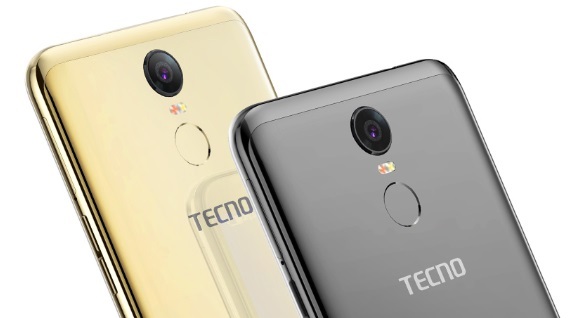 Tecno has also been security conscious, adding a face ID lock, and fingerprint unlock. More features include the OTG support, the Fast Charging support. This is a middle-class device and it is not heavily priced. The Tecno Pouviour 2 Air ranges between 30,000 Naira to 36,000 Naira, the Tecno Pouviour 2 ranges between 38,000 Naira to 44,000 Naira. While the Tecno Pouviour 2 Pro ranges between 48,000 Naira to 55,000 Naira. Also, the price may differ depending on your location. Large battery capacity for all day usage. If the Air version was at least 2GB Ram it would have been better. But that is not an issue anyway, instead, you go for the any of the other versions. Finally, I am happy with the three versions. This gives you the power to make choice if you like the Tecno Pouviour 2, so depending on your budget you can choose the one you want. Also, considering the price of the Pro version it is worth spending on.